Each year I engage in an October Horror Movie Marathon and each year I’m left a little disappointed. Not so much by the movies themselves but by the fact that I just don’t get scared anymore. I love to watch horror movies purely because I want to be scared. There’s even horror games that I enjoy playing because of specific themes present within them. That being said I couldn’t tell you the last time that I was legitimately scared through entertainment methods. This is of course before I played Corpse Party and witnessed the first couple hours of the game. It’s important to note that Corpse Party is actually a rather old game. Originally developed using RPG Maker for the PC 9800 the game saw an underground success and years later grew into its own franchise. (The full development of Corpse Party I found to be really intriguing and can be read over on the full site.) This version of the game, which is its first time appearing in the US, features reworked graphics, new music, full Japanese VO, and multiple gameplay and story additions. So, what is Corpse Party? Corpse Party is the story of nine high school students and their teacher as they share one last night with a friend who will soon be transferring to a new school. The group of friends preform the Sachiko Ever After charm which, according to legend, is supposed to ensure that their bonds of friendship will never break. Naturally just moments after doing this an earthquake strikes and suddenly the students find themselves in Heavenly Host Elementary School. A school that was torn down due to a series of horrific events that took place thirty years ago. Throughout the game’s five chapters you control each party of students (ranging from two to three at a time) and explore every inch of the school looking for clues, avoiding deadly situations, reconnecting with friends and ultimately finding a way to escape. As things progress you begin to learn the truth behind the tragic events that plagued the school and what really happened. Not only that but you’ll find the skeletal remains of students long dead who also found themselves trapped within the walls of the school. With its massive amount of exposition throughout the game Corpse Party does an incredible job at bringing this school and the characters to life. I felt like I was exploring a real school with a terrible past. That alone went a long way in creating a truly haunting atmosphere. The characters behave and act like real high school students. Granted there is a scene that I feel goes too far with the perverted girl of the group but the things that are said and done by each student feels like something a high school student would do in that situation. With the exception that the game does suffer from many moments where the characters swear to never split up again and then five minutes later do just that. 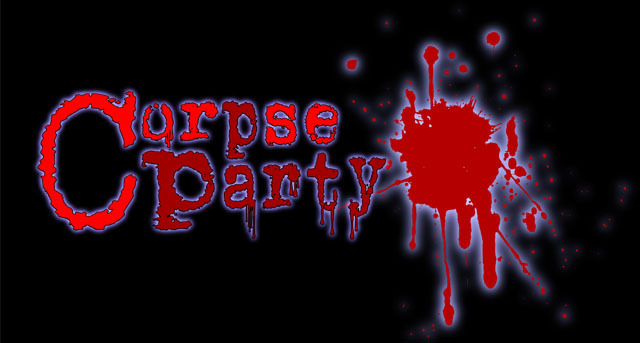 The first four chapters of Corpse Party can be completed in anywhere from one to two hours. Each can be consumed in one sitting pretty easily and do a really good job of moving things forward. Chapters hold their own specific group of save files to use and with multiple ‘wrong ends’ to experience the game encourages experimenting with its many different options. Each chapter contains one true end and multiple wrong ends. The wrong ends lead to a rather nasty death for one of the characters and brings you back to the title screen. These are usually triggered by doing something out of order or not picking up a particular item. For the most part these are done perfectly in the first four chapters of the game. While some go on for a long time most don’t require much backtracking and it was rare that I even complained about time loss. In fact, you’ll want to view the wrong ends because some reveal more story details, character info and collecting each ending unlocks extra side chapters. The true endings are needed to unlock the next chapter in the game and usually wraps up on a great cliffhanger. The first four chapters of the game position themselves to work episodically. They’re all paced rather well and end as if this was all a TV show. Short length included they can easily be consumed in nightly plays with the lights turned out and headphones in, which is how you should experience the game. Unfortunately chapter five clocks in at around four hours if you don’t get stuck (you will) and many of the wrong ends will require you to restart the entire chapter over again. It’s annoying especially when the rest of the game handles it so well. The adventure game element of Corpse Party however is great. Exploring the school, finding items and picking up newspapers to learn back-story works really well. I found myself wanting to do every little thing just to make sure I learned everything about the school. The items that you pick up are usually keys to unlock doors or specific things you need to give to other characters. In the first four chapters it’s actually quite fun to experiment with different options and finding each ending on your own. It’s just too bad that finding every ending in chapter five will likely be a headache without some form of help. The initial two or so hours of Corpse Party legitimately scared me. Much of that credit has to go to the audio design within the game. Corpse Party uses what’s called binaural audio which is used to simulate a surround sound experience that goes a long way in bringing the school to life. In the beginning of the game one girl is telling a ghost story and, if you’re wearing headphones, it feels like she’s whispering it into your ear. Another moment in the game while walking through a hallway a disembodied voice whispered something and it sent shivers up my spine. For the first time in years I got the feeling of ‘something’ standing behind me. That uneasiness that you get when you’re scared that perhaps something else is in the room with you. Corpse Party nails that feeling. Not to mention how great the game’s soundtrack is. Fitting in well with the atmosphere of the game and in some cases helping with the urgency of the situation. Unfortunately that doesn’t necessarily last for the remainder of the game. I eventually got used to it and while the atmosphere never became anything less than amazing the game slowly took a turn towards making the player disgusted rather than scared. Corpse Party rarely shows you any form of violence. Most death scenes in the game occur with a pitch black screen and nothing but the screams of whoever is being mutilated. The only word I can use to properly describe these death scenes is affective. My mind always found a way to fill in the gap and create it’s own image of what was happening and needless to say it was never pretty. For the most part these scenes were never anything more than gruesome and affective at setting the tone of the game. 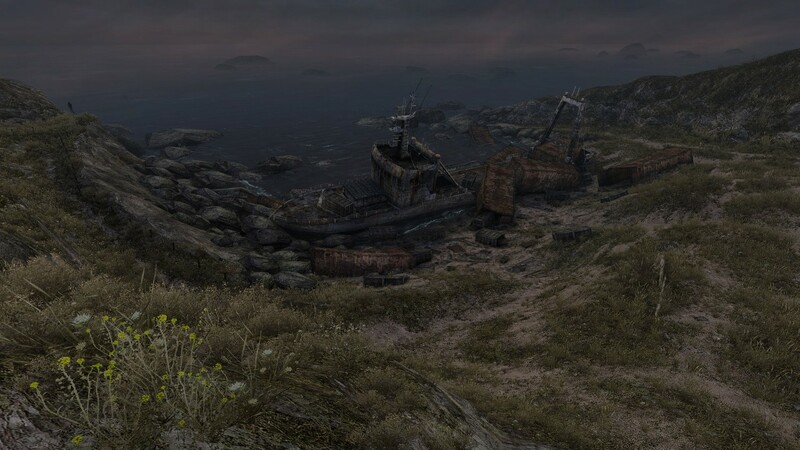 There is however one scene later in the game that left me truly sick to my stomach. Without going into detail there are things in Corpse Party that I honestly wish I didn’t experience just because of the subject matter that it presented. I’m not sure I’d say it’s a bad thing, the fact that it bothered me that much could be a testament to the game itself, but it’s important to go in knowing that there are things in this game that will bother you immensely. If you’re into visual novels, adventure games and all things horror it’s likely that you’ll find enjoyment in Corpse Party. The school is a really interesting place to explore and you’ll likely form some kind of attachment to each character. Alternate endings and extra chapters offer a game with over ten hours of playtime and tons of back-story to uncover. Just be ready for lots of backtracking, sleepless nights and some truly horrific deaths. School is fun to explore. Characters feel like living breathing people. Sometimes going the wrong route results in a lot of lost time. Chapter five feels too easy to screw things up.